I’ve been neglecting my health recently and I’m of the belief that nutrition is the key to good health. I got sick two weeks ago, and although I hadn’t been sick (badly enough to take time off work) in almost two years, I was kicking myself for not taking better care of my health to try and avoid a bad cold. Being sick was a (not so) nice reminder to be kinder to my body. Especially after the cold and flu medicine and comfort foods I shoved in my gob over the week I was at my worst. So, there’s been salads at work instead of fries on the fly and aiming to go to bed earlier etc. 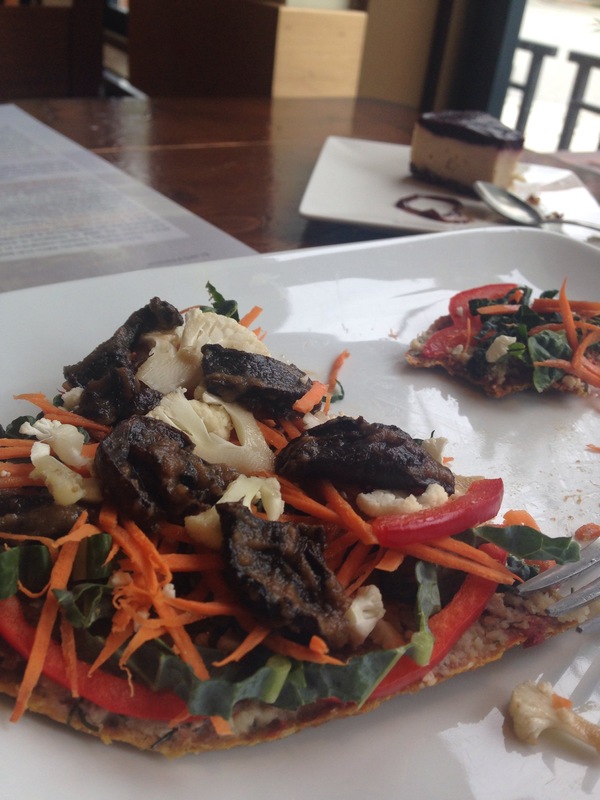 Today I treated myself to two slices of raw pizza and some raw blueberry cheesecake at Tao in North Vancouver for lunch and then went to the supermarket to snag some baby carrots and a few bits and bobs for a homemade onion and herb dip. Will post that tomorrow… Maybe. I feel so much better with the good food choices I make. I feel lighter and less bloated and happier and freer. It’s yummy. 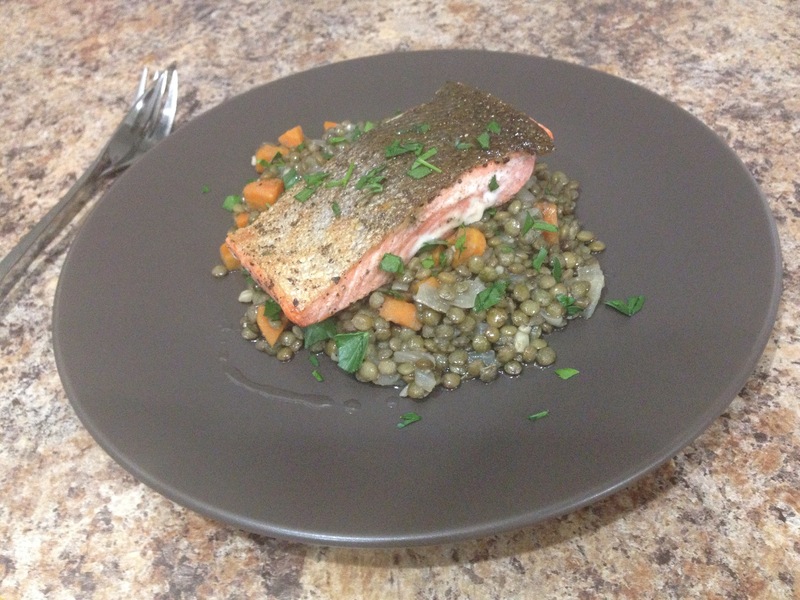 And so is tonight’s dinner: Salmon with lentils. A recipe I stole gained inspiration from Ina Garten. I didn’t have all the ingredients for the lentils but improvised here and there. I also didn’t bake the salmon after browning the skin – I don’t have any oven proof pans 😦 no biggy. I love to make do in the kitchen; with recipes and utensils. Putting this dish together from the stuff I had in the kitchen cupboards/fridge makes me look forward so much to culinary school. I got in and I start in September. I’m a bit nervous but no more nervous than I am when the tables are filling up at work. This entry was posted in Recipes and tagged healthy food, ina garten, lentils, North Vancouver, raw food, salmon, tao organics, what to cook for dinner. Bookmark the permalink.